Quality Air Heating and Air Conditioning > Articles > Air Conditioning > Does Your AC Have Proper Air Speed? Does Your AC Have Proper Air Speed? Did you know that your AC needs a specific air flow speed to work properly? If your AC’s air flow is too fast, it won’t cool or dehumidify your home’s air enough, keeping you from being comfortable. This can be caused by a number of factors, including improper fan speed, badly designed ducts, or an oversized unit. If you think you have a problem with your air conditioner’s air flow, call a professional to take a look. They can examine all these factors to determine what is causing the issue. 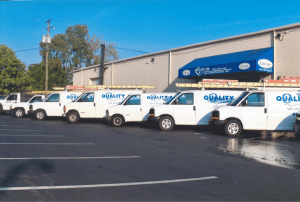 Quality Air Heating and Air Conditioning offers full service heating, air conditioning, and water heater services throughout Central Ohio. We provide free estimates for new systems, and provide top quality repairs and maintenance plans.